aZtec Commercial Cleaning are easy to do business with. Their open book and rolling contract offer transparency and flexibility. Their commitment is evident during the regular client reviews, exchanging constructive feedback to accommodate change if and when necessary. aZtec have therefore improved productivity and we have gained further value for money. 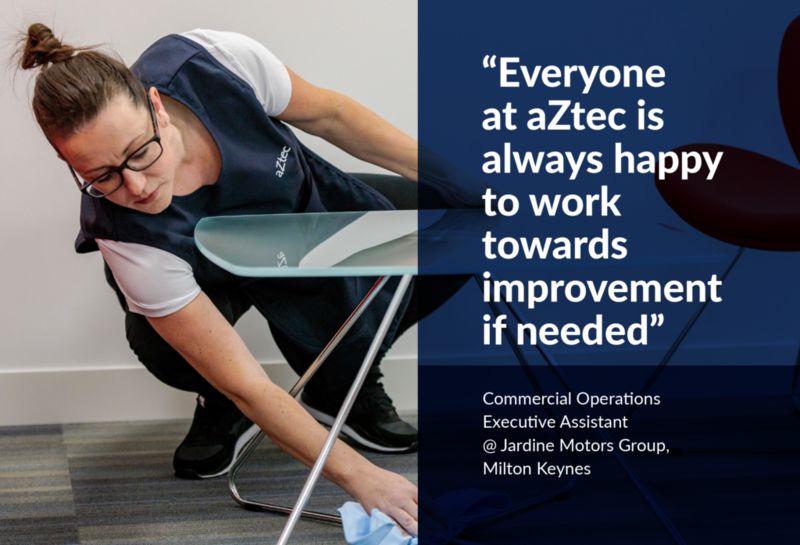 In order to maintain our high standards, we really value the holiday cover which aZtec Commercial Cleaning provide as part of the cleaning service. 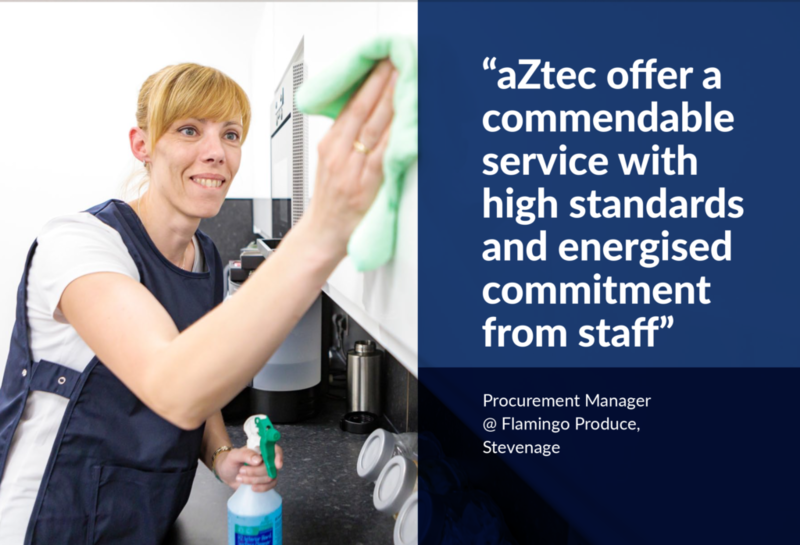 We would recommend the team at aZtec to other commercial customers. Our expectations of cleaning our busy office are high, and aZtec meet these. I am always informed of any holiday and sickness and Amanda always endeavours to find cover or she is happy to step in herself to ensure both sites are cleaned.